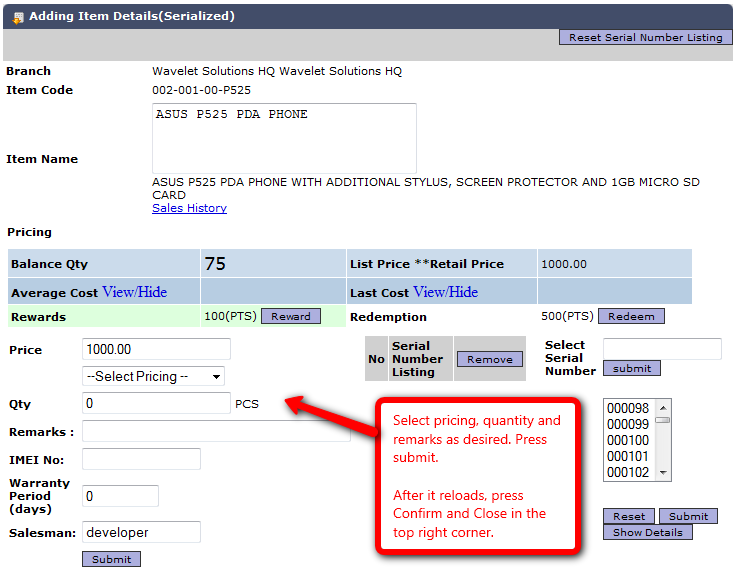 This function can be reached by clicking on the Distribution tab, followed by clicking on Create Sales Order in the left-hand menu. Make sure the branch and salesman are set correctly. Select a customer. If you remember the customer account number, fill it in and press submit. Otherwise click on the Select Customer link. If you clicked Select customer, the fuzzy search dialog will appear. Fill in the customer name, and click search. Select either the main account of the contact person. Now fill in the remarks (if any). Next add the items you want to the SO. If you know the item code, type it in and hit Submit. Otherwise click the Item Search link. The item details widget will pop up now. Select the pricing, fill in the remarks, and quantity. The items added will appear in the listing on the main Create SO screen. 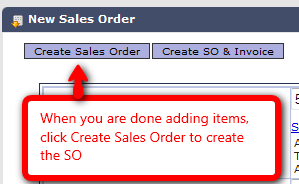 Once done adding items to the list, click Create Sales Order. Confirm that you want this SO to be created.